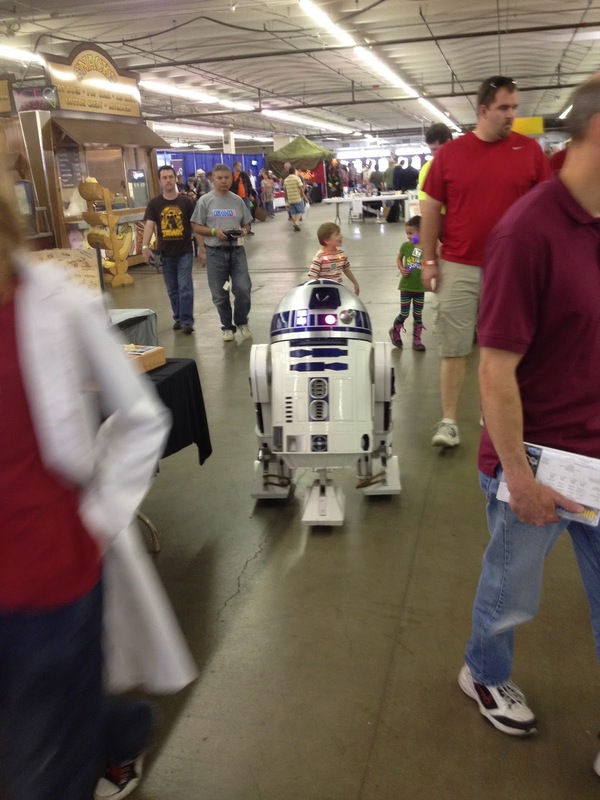 This was my first Maker Faire of any sort, and it was awesome. I am interested in lots of disparate things from art to science and the Mini Maker Faire had all that and much more. Our 3PI line followers were a big hit as well. We got a lot of questions about the line followers and a lot of interest. They are fun to watch. We probably blew through 4 packs of AAs, however. Meanwhile Data Bus was there with my Java Ground Control Station (GCS) displaying telemetry data: voltage, current, speed, GPS satellite count, heading, and bearing to waypoint. 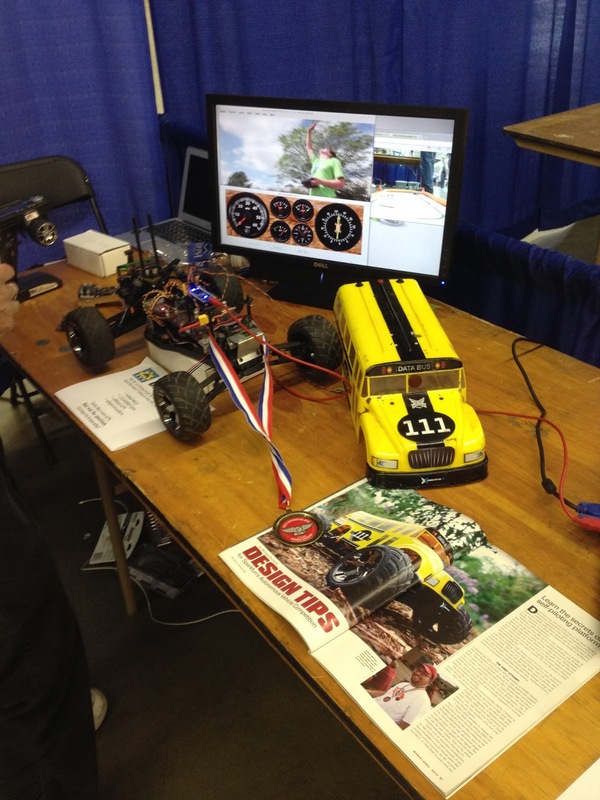 I was glad to meet several prospective AVC competitors and others interested in the Bus and talk tech with them. 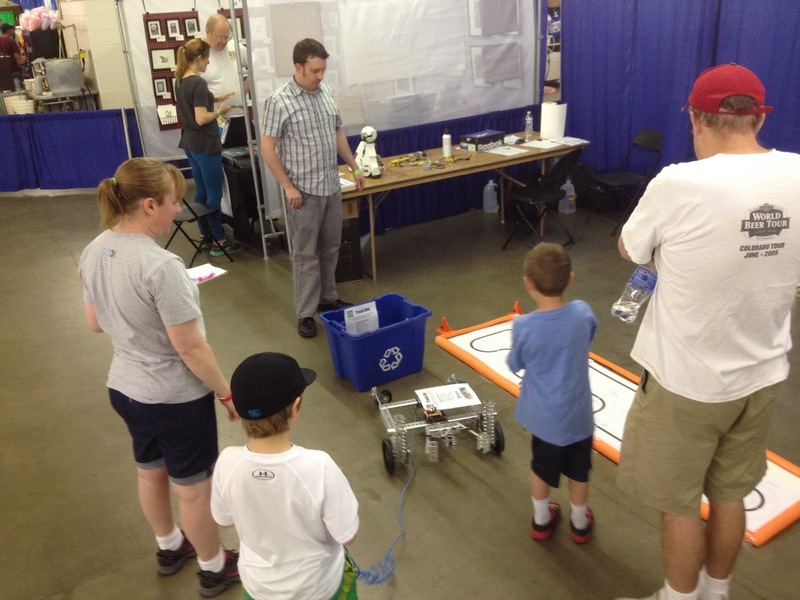 My Raspberry Pi Rover made an appearance on Saturday but experienced technical problems at the end of the day taking it out of commission for the rest of the Faire. I also showed off OpenMV Cam to several people. It ran face detection reliably for both days. Next time the Faire is in town, you should go. It's absolutely awesome.